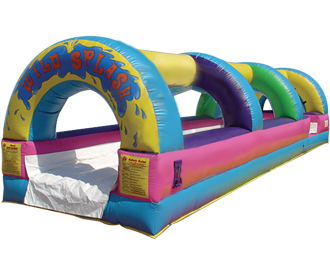 The Single Lane 30' Wild Splash Slip and Slide will bring out the competitiveness in everyone at your next event. Riders get a running start before they jump and race down the slick water lane before making a splash in the Splash Landing. 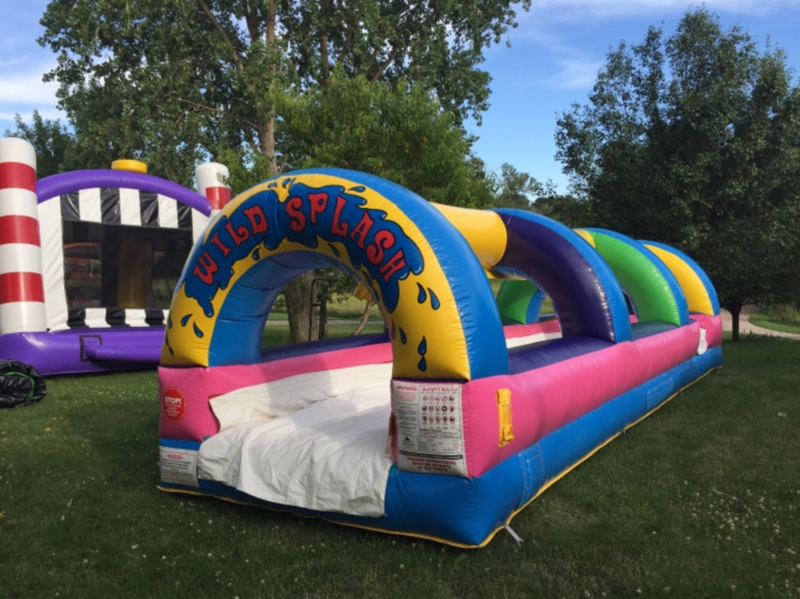 Whether your party is in Peoria, Phoenix or anywhere in the valley 2 Dads Bounce Houses has the perfect slide for your Party. Book online or call us today!